On Thursday 21 February, Leicester’s New Walk Museum and Art Gallery was the setting for an important event highlighting the role and legacy of the suffragette, Princess Sophia Duleep Singh. Whilst the suffragette movement had many key figures like Emmeline Pankhurst, the role of Sophia has been marginalised or overlooked. She was the granddaughter of the Lion of the Punjab, Maharajah Ranjit Singh and the daughter of Maharajah Duleep Singh. She held all the traits of her grandmother, Maharani Jindan Kaur, who fought to keep the Sikh Empire intact against the onslaught of the East India Company (1845-1849). Sophia was born in the UK and given a special place in the British establishment due to her royal connections, especially considering she was the god daughter of Queen Victoria. The evening at the Leicester museum was hosted by Kartar Singh and Raj Mann of the Sikh Museum Initiative. 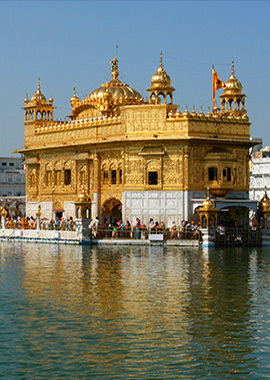 The session was started by Sikh scholar Gurinder Singh Mann (Director of the Sikh Museum Initiative), who undertook an introduction to explain who Sophia was and her link to the Sikh Empire of the Punjab. He also gave examples, of how Sophia had emerged as a key figure in the Suffragette movement. The panel was composed of several up and coming researchers: Kiran Singh (University of Derby), Jaskiran Bhogal (London School of Economics) and Anisha Johal (University of Derby). The questions ranged from the importance of Sophia in modern Britain today, through to whether Sophia wanted to reclaim the empire back from the British. 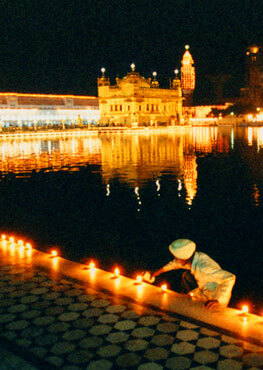 There were points made on identity and how Sophia would have viewed the Sikh Empire from her point of view. As she was part of the establishment, the panel agreed that it was probably too risky for the authorities to undertake any action against her. The panel also felt that Sophia was a great role model for young girls in the modern day and that we can take much away from her history and zeal for suffrage. A major aspect of the evening was Sikh Museum Initiative’s development of relics using 3D technology and as a result, they showcased a Tikka (headpiece) of Sophia which originally belonged to Maharani Jindan Kaur. The Maharani had her jewellery confiscated by Governor General Dalhousie after the first Anglo Sikh war (1846). 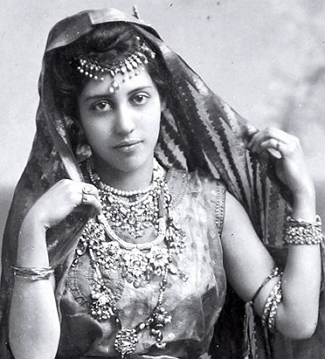 Some years later, she was given permission to leave India, with her jewellery and go to the UK with Maharaja Duleep Singh. After she passed away, many parts of her collection were passed onto Duleep’s children. Earrings belonging to Maharani Jindan Kaur were also recreated in 3D and received great reviews at the museum event. The team has been working with historian Peter Bance who has undertaken ground breaking work on the history of Maharajah Duleep Singh and his family. The participants at the museum were treated to food provided by Guru Tegh Bahadur Gurdwara, Leicester and filming was undertaking by Punjab 2000.